Fairytales and Fitness: Get Your Copy of the Runner's World Big Book of Running for Beginners! Get Your Copy of the Runner's World Big Book of Running for Beginners! More and more people are turning to running as a way to lose weight, relieve stress, stay active, gain confidence, and live longer. Because of this, Rodale Inc, the publisher's of Runner's World have put together The Runner's World Big Book of Running for Beginners. This is not just another "How To" book, oh no! It is definitely a resource for runners and those who are aspiring to become runners. I could have surely benefited from this book when I first started my running journey. Especially the section on Running Terms. Did you know what the term "Athena" refers to during a race? I didn't even know there was such a term. I had to chuckle as I read the section on Yoga Etiquette! I'm sure we all know someone who has broken a few of these rules! Even though this book title suggests that it is for beginners, I assure you that every runner, no matter how long they've been out there, will find it helpful in some way. 1. The Basics: What to wear, pacing, differences in running surfaces, treadmill tips, running with your dog, running with others, running hills, cross training, FAQ about training, running/race etiquette, etc. 2. Become a Runner in 5 Easy Steps: Training Plans, race prep, etc. 3. Motivation: Getting out the door, getting out of a rut, etc. 4/5: Nutrition and Weight Loss: SO MUCH INFO HERE, losing weight and keeping it off, best foods, worst foods, grocery shopping, reading food labels, pre run/post run foods, etc, etc, etc!!!! 6. Run Safe and Injury free: Breathing, stretching, chafing, side stitches, heat, cold/snow, mean dogs, etc. 7. Preventing and Coping with Injuries: Touches on all the most common running injuries. There are so many cool tips in this book that I wish I could share them all but of course that would make for an awfully long post and you would probably stop reading! Hopefully I'll be able to fit in a few post here and there. If you are interested in the fabulous book you are in luck because it goes on sale TODAY! You can find it at your favorite bookstore or purchase it directly from Rodale HERE. 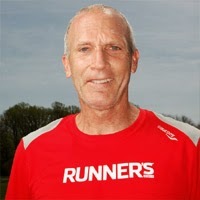 Bart Yasso: Chief Running Officer of Runner's World and author of My Life on the Run. 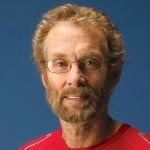 Amby Burfoot: Runner's World editor at large and winner of the 1968 Boston Marathon. Jennifer Van Allen: Special Projects editor for Runner's World and a running coach. What was the best piece of running advice you've got from a book or magazine? 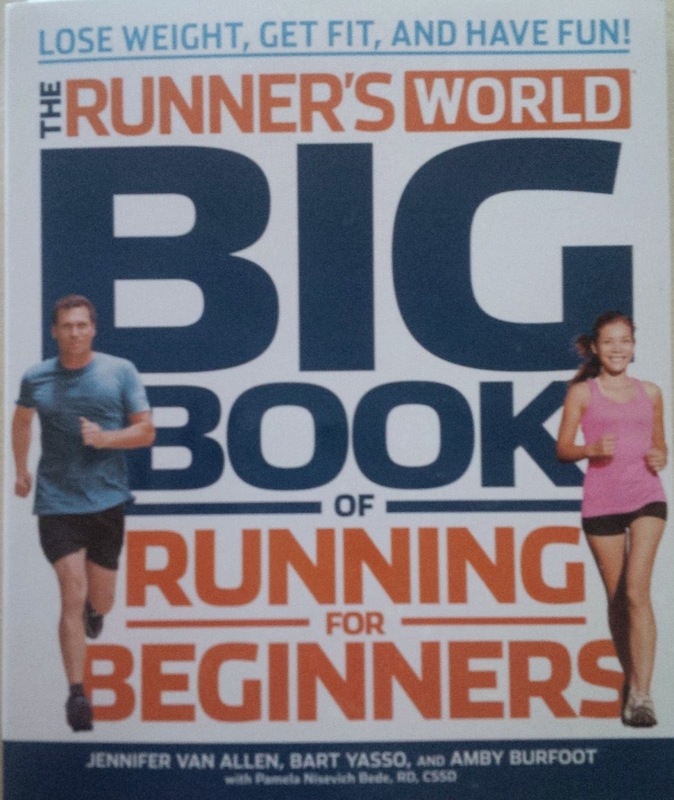 *I was provided a complimentary copy of The Runner's World Big Book of Running For Beginners from the great people at Runner's World but all opinions are my own. That sounds like an awesome book! I'm trying not to buy anything before we move so there's less to move, but I'll have to keep it on my list. Good luck on your move! When will that take place? Thank you! May 15th is our official date. We're really excited because it'll be in a much better and more central part of town! This one is exceptional! I think you will enjoy it. It has a lot of "basic" things i'd either forgotten about or never knew! You certainly won't be disappointed Heather! It's a great one! Oh, please pass it on! Sounds like an awesome book! I hope you do some more posts about it :0) I'm definitely gonna check it out though! This looks like a great read! I love to research and learn everything possible about my new endeavors, this would be a great resource. Sounds like a great book to check out! I just got the Runner's World Complete Book of Women's Running - I love that no matter how many running books I have, there's always something new to read. Now I have another on my reading list! I also really liked Marathoning for Mortals, I trained for my first half marathon with it! Sounds like a great running resource to have! I wonder if they have an electronic version for my Kindle?! I love Runners World products and books, they are something you can never go wrong with!! !